Silverleaf Group are continually looking to acquire land and property suitable for investment and development. We are particularly interested in properties with large gardens, blocks of apartments with communal gardens and properties that sit on corner plots. If you own or know of a possible development site, we would welcome the opportunity to share our views and hopefully make you an offer. We endeavour to respond to enquiries quickly. Planning and development is becoming an increasingly complex and challenging business to achieve a positive outcome in, and without the correct approach can result in a valuable asset turning into a costly liability. Adverse planning can stop a site being developed and so it is essential to choose the right partner to guide you through the process and provide you with the best chance of successfully capitalising on your asset. Silverleaf have a proven track record of obtaining successful planning consents on even the most complex and difficult sites. 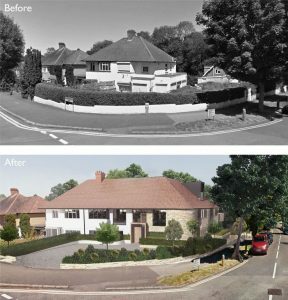 We have continued to maintain a 9o% success rate at obtaining planning permission over the 16 years we have been established. As an independent family owned company, we can appraise and make an offer for potential sites and properties in a quick and efficient manner with direct contact with all of the directors of the company as a standard. This not only allows you to discuss any queries you may have with the decision makers but also gives you the peace of mind that we are only a phone call away. We are well funded and are supported by understanding lenders who have the same beliefs and enthusiasm we do, enabling us to carry out transactions quickly and efficiently. Silverleaf Group unconditionally purchased a dilapidated 3 bedroom semi-detached house in Purley which came up for sale on the open market. The property required full modernisation but we identified by virtue of its large corner plot that it could accommodate a scheme of redevelopment. We presented a scheme proposing the demolition of the existing extension and erection of a 2 storey extension to the side and rear of the existing house allowing for a mixed development of 6 studio, one and three bedroom apartments with the provision of associated parking. The scheme was approved by the Croydon Planning Committee by way of a majority with the chair complimenting the contemporary design solution. 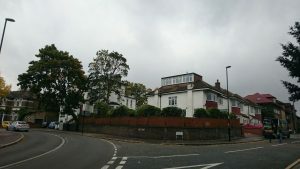 Silverleaf Group unconditionally purchased a 5 bedroom detached house close to South Croydon station and on a prominent corner plot. We identified by virtue of its large corner plot that it could accommodate a scheme of redevelopment. The site had a number of constraints including being adjacent to a locally listed building and area of historical interest and so the design of any scheme would be fundamental to it being approved. 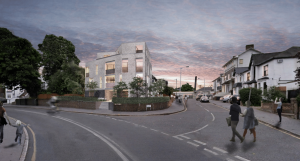 We presented a scheme proposing the demolition of the existing house and erection of a 4 storey contemporary building comprising of 8 one and two bedroom apartments with the provision of associated parking. As a result of our early engagement through the pre-application process with the local authority, the scheme was approved under delegated powers on first submission.